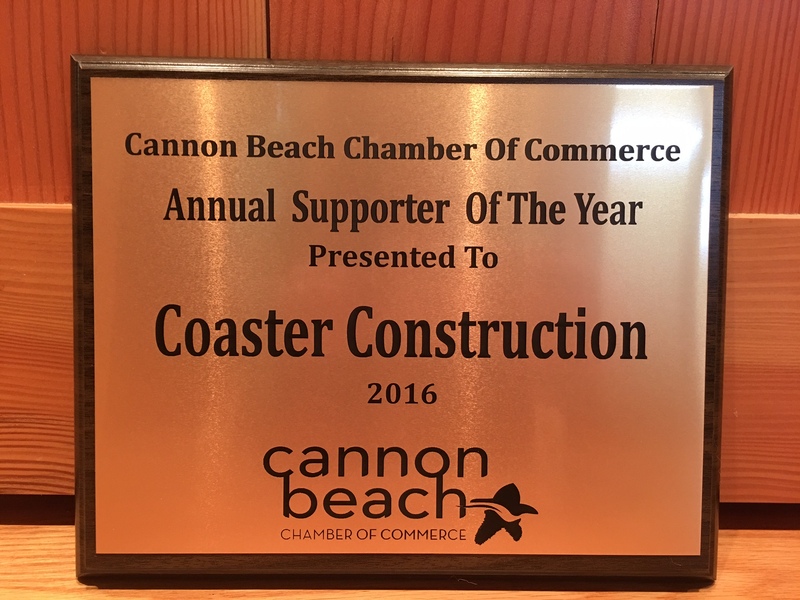 Coaster Contruction awarded the annual supporter of the year. A huge thank you to The Cannon Beach Chamber of Commerce for naming us their “Annual Supporter Of The Year”!! We are thrilled to receive this beautiful, shining award. "They were problem-solvers throughout the process and demonstrated a consistent willingness to meet my budget expectations and attention to detail."